Emre Can is being told he has yet another ultimatum from Juventus. It’s not the first time, previously it’s been claimed in Italy that the Liverpool midfielder has been told several times to hurry up and make a decision, but deadlines come and go. 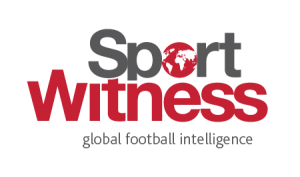 The Turin newspaper take that as Marotta throwing down a deadline, roughly ending a week from now, and making it clear other offers have also been made. Interestingly, and this seems a new angle, Tuttosport say Juventus are keeping an eye on Can’s back injury, with the suggestion being there could be a chance of even the Italian club getting cold feet over a deal. Whilst the German may be on a free transfer from Liverpool, he’ll still be getting a big signing on fee and expect huge wages, so if Juve are overly concerned about his back then it could be an issue. 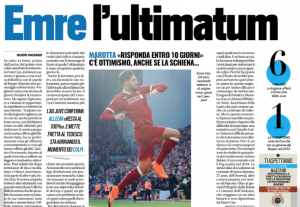 Or perhaps Tuttosport are simply providing an excuse for their favoured local club should Can take up one of the other offers or remain at Liverpool.